If you have children in diapers then no matter what, you're buying diapers. Why not get something out of this right? Every package of diapers has these little tags inside of them. I buy Huggies, but I know that Pampers has these inside all boxes too. 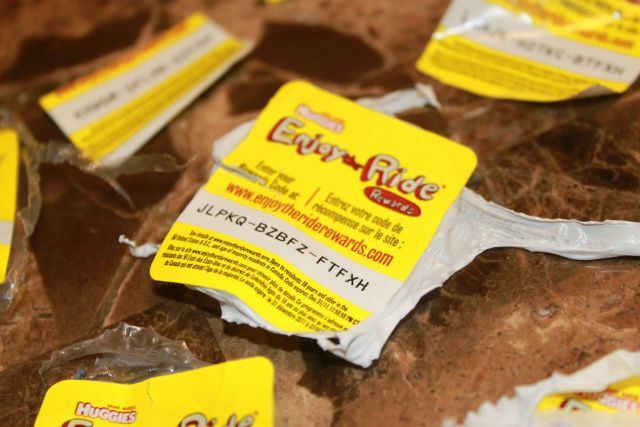 If you buy huggies, you set up an account at Enjoy the Ride Rewards . 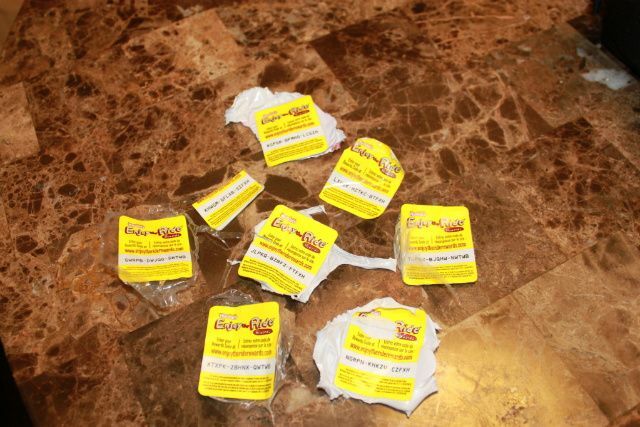 This is were you punch in all the codes you get off of diapers and wipes. Each package is worth anywhere for 4-16 points so it take a while for the numbers to add up. But they do add up! I finally cashed in some of my points for my first coupon. They rewards change often and they only give you 3 or 4 things to pick from at a time. Again, something in return is better then nothing. 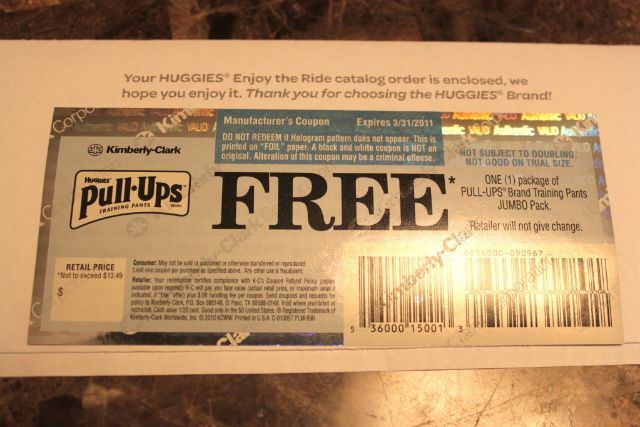 This coupon is a $13.49 value and gets me one free pack of pull ups! No, my son is not potty trained yet, but that doesn't mean I couldn't use a free pack of diapers for when he does! Every little bit helps! I always save the stickers from inside my pampers boxes! I have yet to cash them in but I have alot of points saved now! Thanks for the tip! I will def have to do this! That is awesome! My baby wears Huggies too, so I will start saving them!! PS just found your blog from my girl Natalie, and I love it! Say hello your newest follower!!! very good to know - you have such a great blog! I love points! With pampers you can get starbucks cards - my girlfriend hasn't paid for a latte in over a year! !